With the rapid rise in population, farmers must increase the yield of their crops to provide more food with less resource. Furthermore, crops should be free from pest diseases. Morever, the efficiencies in the farming have to go up can't be able with guesswork anymore, such as identification of ground topography and how much fertilizer to use. Such factors are determined using multi spectral images of soil and crops. These extensive gathering of information is possible using drone technology and data analysis software, which helps in producing a complete map of the field based on the requirement. And Quantix Decision Support System (DDS) really brings intelligence to the farm much easier. The Quantix brings all together a new age of remote sensing for aerial mapping and inspections for agriculture use. The solution which includes the drone and a complete cloud based analytics platform is designed to be robust, reliable, and easy to use as an app, for collecting and using aerial imagery. It is designed for a safe launch and soft landing, and a better speed. The interface was developed for untrained users to get into the air easily and quickly reap benefits of mapping analytics. 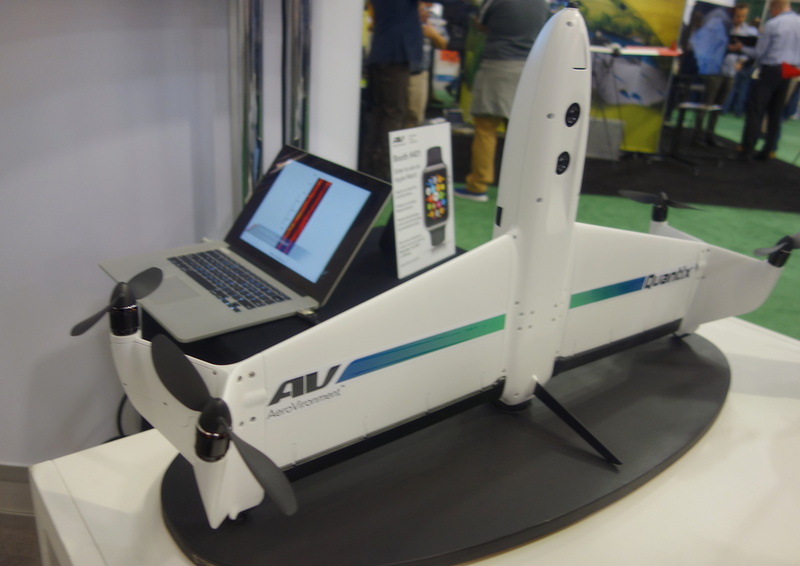 Quantix drone boasts a specially hybrid design that enables the aircraft to launch vertically and then flip its propellers for horizontal flight, taking advantage of a fixed wing drone’s aerodynamic efficiency and range. Quantix is the first hybrid drone to meet the demands of precision farming and is designed to pair seamlessly with AV DSS, allowing farmers to review drone-collected data easily for both quick insights and deeper analysis. Quantix can map more than 400 acres in about 45 minutes (it’s overall flight time is approximately an hour). In any drone, its camera is at his heart of innovation and holds a greater importance in the role of the drone. Quantix collects RGB and NDVI multispectral images that can be viewed on-site immediately as soon as the drone lands and then are uploaded, processed and stored securely in the cloud for farmers to view either on their mobile app or a desktop computer allowing to collect and record infield observations. The feature allows the farmer-pilot to act almost in real time. Its two, high-resolutopn, 18 MP cameras gathered true color and multispectral imagery which captures double the imagery as compared to a normal drone. In addition, it gives farmers-photo interpreters detail of RGB (upto 1’’/ pixel) and Multispectral images (up to 2cm/pixel) from an altitude of 400 feet and has a self-calibrating solar sensor to provide ambient light, necessary for calibration of Multispectral sensors. The detail is amazing. securely stores large amounts of image data for historical trend analysis. 0 Response to "Quantix Drone Used for Agriculture"